The deputy president says he is also willing to have allegations of serious crimes levelled against him tested in a court of law. During a question and answer session in parliament today, deputy president David Mabuza was asked by Economic Freedom Fighters (EFF) member of parliament (MP) Zolile Xalisa whether the deputy president would be willing to subject himself to a transparent lifestyle audit. Xalisa said he based his question on allegations of corruption and murder levelled against the deputy president. “Deputy president, there have been a lot of allegations around your own susceptibility to criminal conduct during your time as Mpumalanga premier relating to rigging of tenders to benefit yourself and your cronies, are you willing to personally subject yourself first to a lifestyle audit and would you support that this be done in an open manner?” Xalisa questioned. 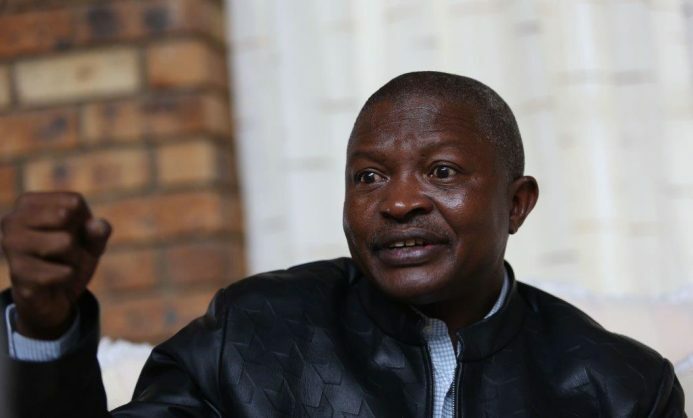 Mabuza said he is willing to avail himself for a lifestyle audit and he committed to subject himself to all requirements that would be made by the government. “Your first concern, there have been allegations of corruption, of murder, all sorts of allegations levelled against me, and here I am, I’m still here. I am waiting for someone to go open a case and say you have done one, two and three, so that I can go there,” Mabuza said. The deputy president added that he is willing to take “head on” anyone with facts and not just the allegations being made against him. “Head on, we can go together in court. Taking you head on, I mean, I can go to court and say so and so is saying this and we are requesting someone to prove these allegations,” the deputy president said. Mabuza said he was responding, possibly for the third time, in parliament to these allegations, saying as he had said before, any individual with evidence to back the accusations should approach a relevant institution so he should be held to account. “Now, I think it is unfair to continue to cast aspersions on the integrity of a person, it’s unfair, very unfair. I am ready to face any court of law if I’ve done anything wrong; let it be,” Mabuza said. The deputy president said the continued casting of aspersions on his person is tantamount to character assassination. “I don’t know whether I look like a criminal, whether I look like a thief?” the deputy president said. An MP rose on a point of order, saying he sought to assist the deputy president with answering his question about his appearance, and that he looks like a suspect, rather. A recent feature run in a major US publication The New York Times was scathing of the deputy president, focusing initially on his control of Mpumalanga and particularly its education system, “where millions of dollars for education have disappeared into a vortex of suspicious spending, shoddy public construction and brazen corruption to fuel his political ambitions, according to government records and officials in his party”.